EPDM flat roof kits give both trade and DIY roofers the opportunity to simplify domestic roofing projects of all types and are available in a range of standard, off-the-shelf sizes for sheds, garages, green roofs and extensions. The introduction of flat roof kits from Permaroof has opened new doors across the UK as the handiest homeowners realise that they no longer need to employ a professional roofing company to replace a shed roof. Today, the shed roof kit offers an easy way to tackle the project DIY-fashion. What’s in Permaroof EPDM flat roof kits? Our experienced sales teams are on hand during working hours to offer guidance with ordering and application over the telephone and within our online live chat service. We are happy to help with any issue you might have and pride ourselves on our award-winning customer service values. Let Permaroof help you make light work of all your roofing projects this year with comprehensive flat roof kits that give you exactly the right amount of materials you need to get the job done, hassle-free. Visit the flat roof kits page to find out more. Find out more about how flat roof kits can help to simplify flat roof projects for both trade and DIY roofing. 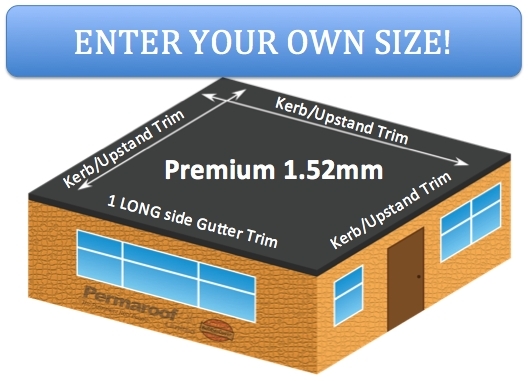 What's in a flat roof kit and what support will Permaroof EPDM supplier give you?